In the year 1999, taking control of Hewlett-Packard as the first woman CEO, Carleton (Carly) S. Fiorina is a befitting example of a woman creating a niche for self. From being a company secretary to becoming the CEO of a Fortune 20 Company, Carleton was named the most powerful woman in American business by Fortune magazine. Following the controversial merger with Compac Computers, Fiorina was forced to resign. After her resignation she became a consultant for the Republican candidates. She was born Cara Carleton Sneed in Austin, Texas on September 6, 1954. Her mother Madelon Montross was an artist. She has two siblings. Owing to her father’s job, Carly had to change many schools. A student of Medieval History and Philosophy, she went to Law School, UCLA, but after a year, she decided to drop out. After trying her hand at various jobs, she became an AT&T sales representative. She moved up the company’s ladder to become the first female officer in the Network Systems Division. In 1998, she was put in-charge of Lucent's Global Service Provider Division. Later Carly earned an MBA from the University of Maryland and a MS degree from MIT’s Sloan School of Management. Carly Fiorina’s success story started way back in 1980 at the age of 25, when she joined AT&T as a management trainee. At the age of 40, she was heading the North American operations. Charisma and perseverance saw Carly achieve many milestones on her way to the top.In 1995, Fiorina led corporate operations for Lucent Technologies, Inc., and by 1997, she was named the group President for Lucent's global service-provider business. 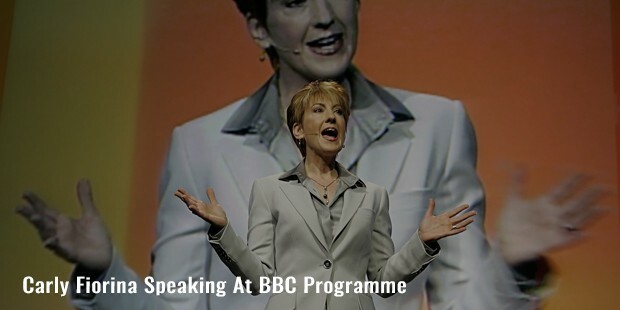 Carly’s professionalism saw her rise to be the Chief Executive Officer of Hewlett-Packard Company in July 1999. 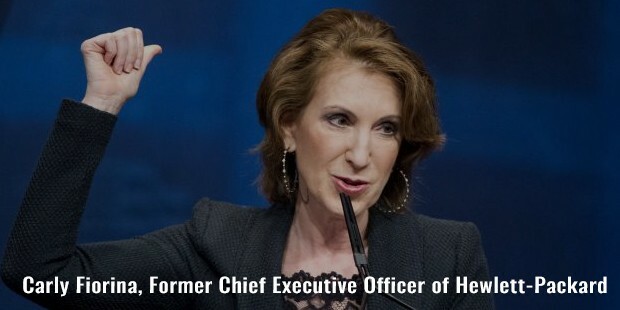 Matthew Boyle of Fortune magazine had said, "Carly Fiorina didn't just break the glass ceiling, she obliterated it, as the first woman to lead a FORTUNE 20 company.” After resigning from HP, Fiorina signed with the Fox Business Network to become a business commentator on the network. She served as a member of the MIT Corporation from 2004 to 2012 after couple of brief stints. 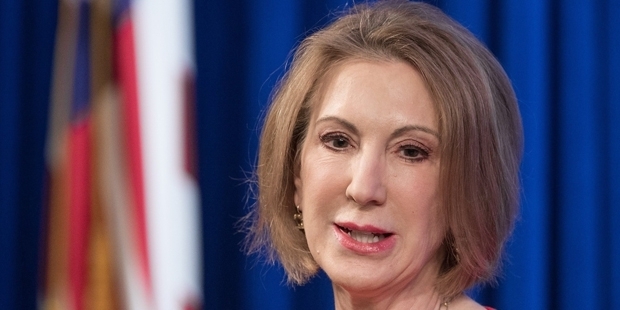 Carly also happens to become the member of the Foundation Board of the World Economic Forum. 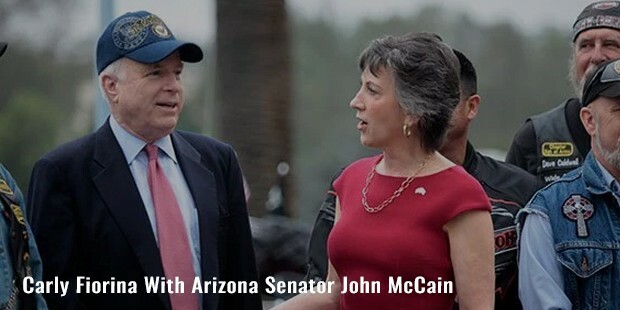 Fiorina’s political career started in 2006, when she worked for Republican Senator John McCain's presidential campaign. In the early 2008, she was referred to, in the media as a potential vice presidential candidate. Fiorina finally entered active politics in 2009, when she announced her candidacy in the 2010 Senate Election. Carly even won the elections with over 50% votes. In 2014, Fiorina announced her candidacy for the 2016 Presidential Elections. Carly Fiorina has played a significant role in helping the deprived women and children. As Chairperson of Good360, she led an initiative to get American corporations "to help combat the Ebola virus in West Africa” by donating specific items.On February 14, 2013, Opportunity International announced a partnership with Fiorina and OWI to provide financial resources, education and training to two million women living in poverty. Fiorina was referred to as Global Ambassador to Opportunity International. Fiorina is the chairperson and CEO of the Fiorina Foundation. Her Foundation has donated to several causes including Care-a-Van for Kids, a transportation program to aid seriously ill children, and the African Leadership Academy, an educational institution in South Africa. 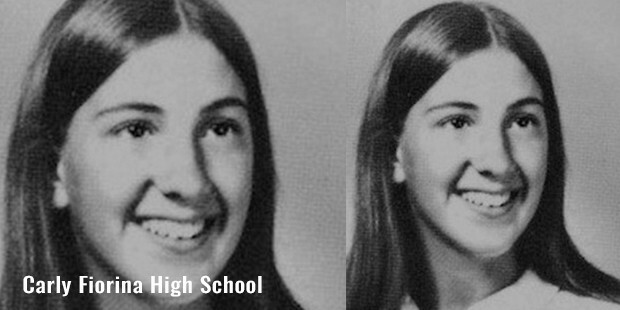 Fiorina married Todd Bartlem, a Stanford classmate in June 1977. She got divorced in 1984. 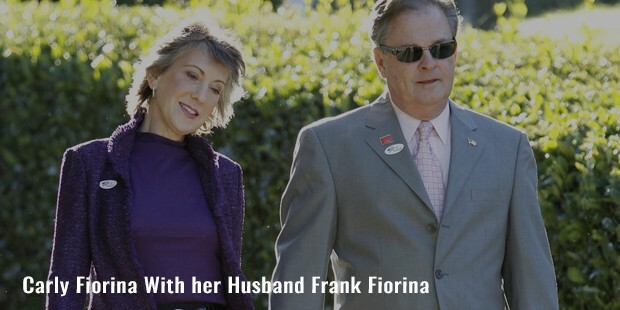 In 1985, she married the AT&T Executive Frank Fiorina, second marriage for both. Though, they both had wanted children from their marriage, this blessing has eluded them. She has undergone a mastectomy after suffering from breast cancer.